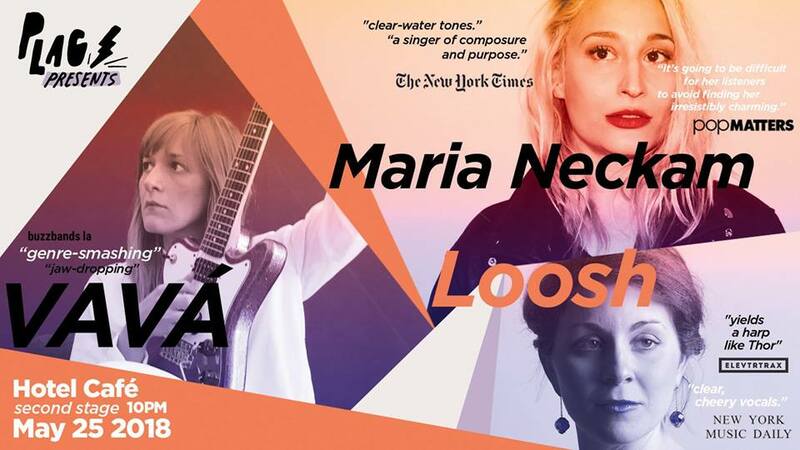 Singer/Songwriters Maria Neckam and Lucia “Loosh” Stavros tour the West Coast from LA to Vancouver, joining forces with L.A.’s guitar whiz VAVÁ for a show May 25th 10pm at Hotel Cafe. The show is being presented by PLAG Presents, an LA-based collective that works to elevate the voices of women and nonbinary people in the arts. MOON HONEY w/ The Paranoyds at Levitt Pavilion L.A.